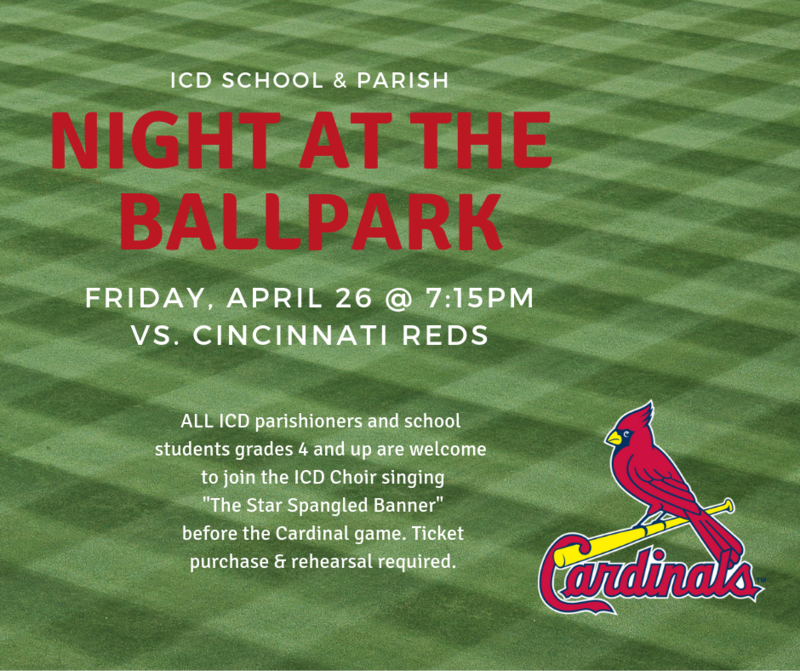 and come root on the Cardinals! 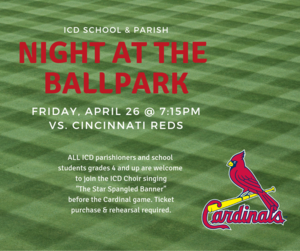 ALL ICD parishioners and school students grades 4 and up are welcome to join the ICD Choir in singing"The Star Spangled Banner" before the Cardinal game. with any questions about the choir. Children under 18 must have a signed permission form, which may be found in the Digital Locker in TeacherEase or in the School Office.